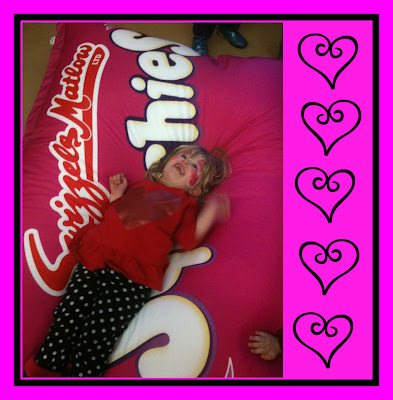 The Hart of the Munchkin Patch: Extra Squashy and Sweet Tea Party with Swizzles Matlow! Extra Squashy and Sweet Tea Party with Swizzles Matlow! 'Sweet', sweet sugar rush ...! A couple of weeks ago, mummy and I were invited to a special tea party. This made me very excited. I love tea parties. Immediately, I gathered my favourite cuddly friends and sat them neatly in a line, offering them each a 'cup of tea' made with my very own tea set, whilst I sat with them, engaging in enthusiastic conversation about what will happen at the tea party. Well, there'd be tea, biscuits, maybe a bit of cake. We'd sit in a civilised fashion around a table and chat with those around us. Or this is how I thought tea parties worked, anyway. And this may be true, unless you are attending a tea party hosted by Swizzels Matlow ...! They do things a little differently! 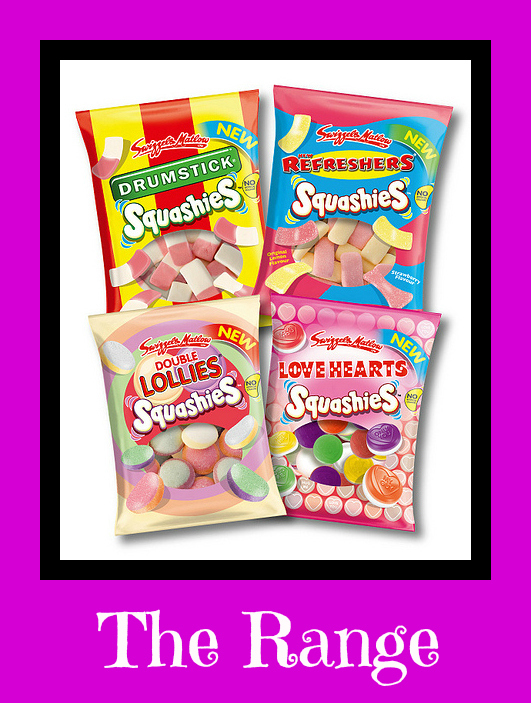 "Make way for Squashies - an exciting new sweet range that sees favourite brands, Drumsticks, New Refreshers, Love Hearts and Double Lollies, transformed into a delicious squashy gum format!" 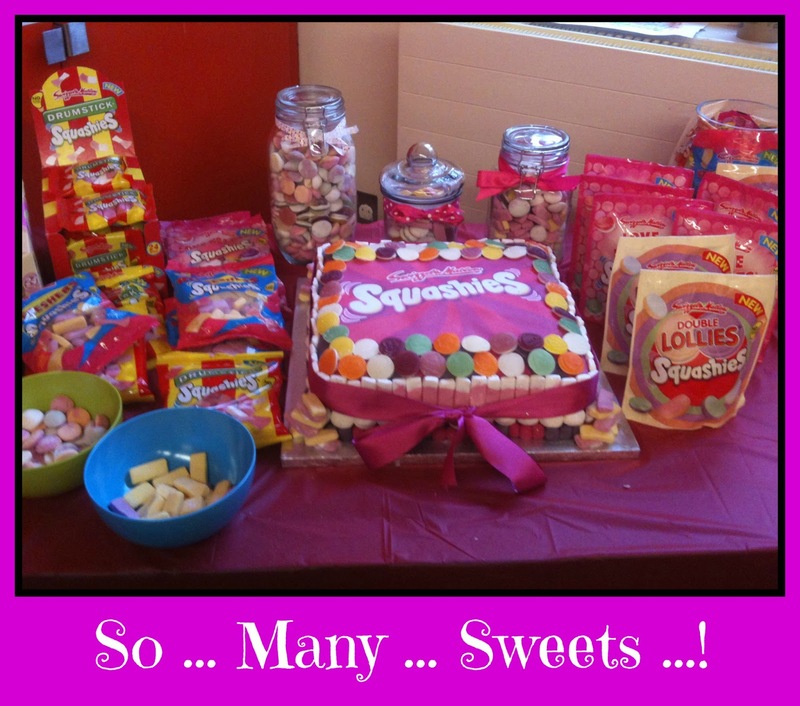 We had been invited along to celebrate the launch of this wonderful new range of sweets. The old favourites in squashy form! I had to sample them all straight away! They're all yummy! 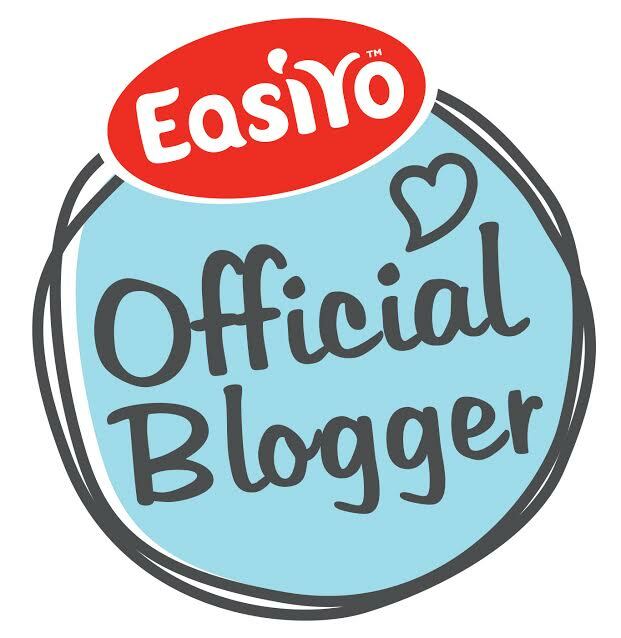 We met up with a few other mummy bloggers, Emmy's Mummy's Clare, RocknRollerBaby's Ruth and Workitmamma's Tory. 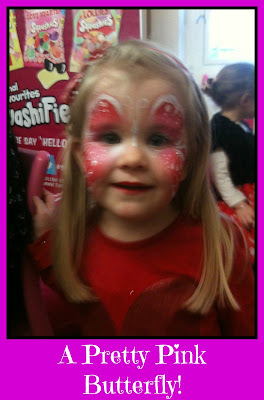 So whilst mummy caught up with friends, I caught up with mine ... whilst mummy chatted with new friends, I sampled some more sweets, and was then drawn to the lovely lady who was offering her face painting services! She was so good! Guess what I went for ...? We had lots of party games - Pass the Parcel, Musical Statues, even a few rounds of 'Tiffany Says ...'! 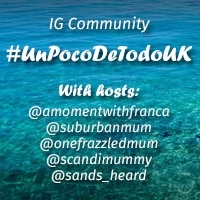 It was so much fun, everyone was joining in! Then there was the cutting of the cake. Mummy has always been a fan of Lovehearts. 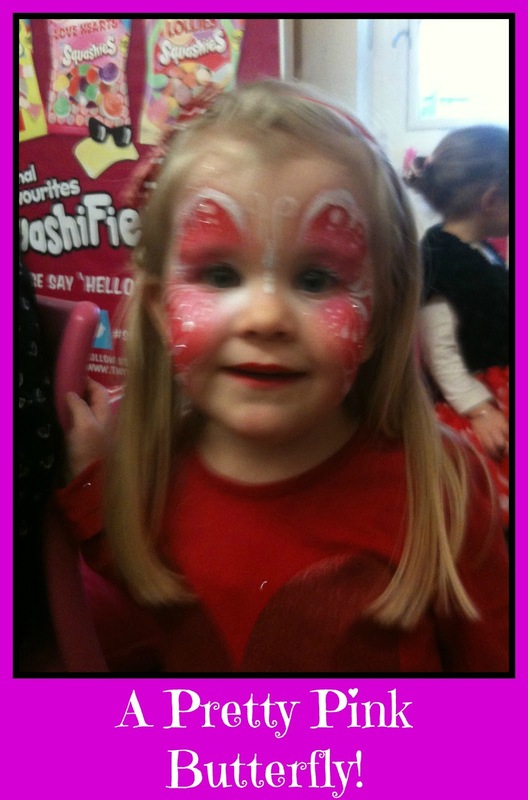 She says everyone loves Lovehearts! Those small, round, hard sweets with little messages on them. 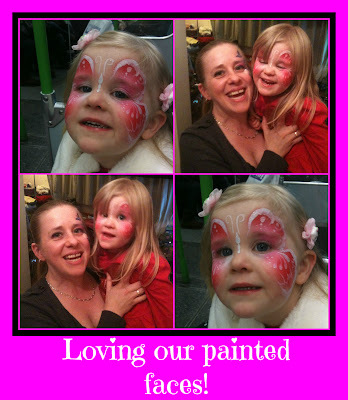 She said they would always add an element of fun as kids and adults alike would excitedly work through the tube to see what messages they have! With words like "Be Mine" and "Kiss Me", all sorts of 'memories' were made! And the fizziness of the classic Refresher Bar (this one was mummy's favourite! 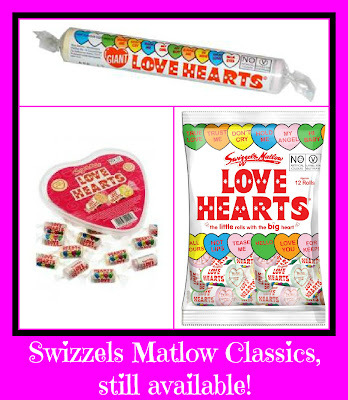 ), the sweet, sticky and extremely 'moreish' Drumsticks, and the deliciously popular Double Lollies, Swizzels Matlow have done a wonderful job transforming them all into this new soft variety! Bright and colourful, Squashies are the perfect sweets to enjoy with the family, whilst sharing your favourite bag during a family film night, or alternatively, keep the treats all for yourself and experience a moment of nostalgic 'Me Time' with their 45g bags. Squashies are ideal if you have a long car journey ahead, or are looking for a pick-me-up during the working week. With zero artificial colours, the quirky flavours are bursting with character and are utterly delicious! They also make a fantastic addition to any birthday party or other similar occasion, being soft and light, there is bound to be something there to tickle everyone's tastebuds! Mummy wanted me to add a little note about special treats on special occasions. I would never be allowed to help myself to such a supply of sweets on a 'normal' day. 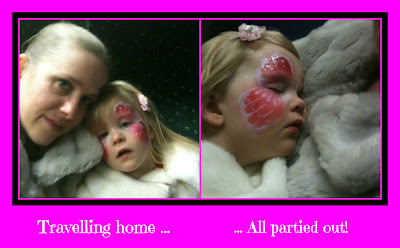 Today was a special day, and one which she decided would be free of the usual rules and restrictions ... a treat day! Today was all about the nostalgia for mummy and her friends ... 80's sweets, 80's party food and popular musical classics from the 80's. However, for me, it was all about the fun! Yes, even mummy had her face painted!! As you can see, we had a fantastic day at the Squashies Tea Party, and cannot recommend their new range of gummy sweets enough. But don't worry, you will still be able to find the old Swizzels Matlow classic sweets in the shops! 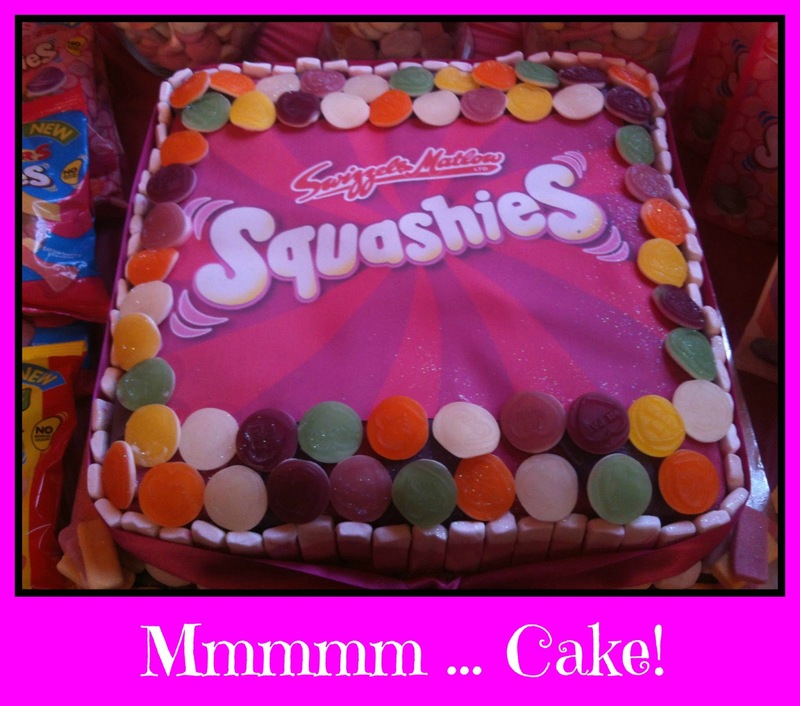 So, say hello to Squashies and experience a revolutionary sweet that is guaranteed to impress! 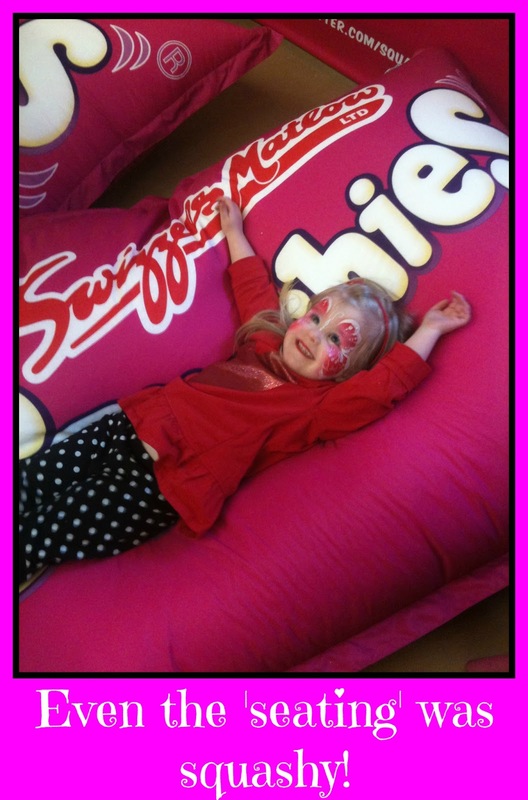 And don't forget to download the new free Squashies World App - a cute and challenging game with up to 80 levels! The app is available on both iPhone and Android. 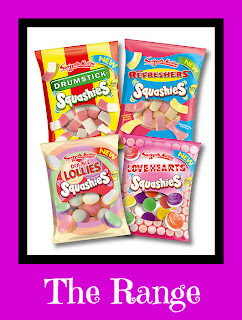 Squashies are also running a great competition in which you can win 52 bags of their new range! Just answer a simple question, submit your details and cross your fingers. Simple! This competition is running until midnight on 30th March, 2013. See the website for Terms & Conditions. 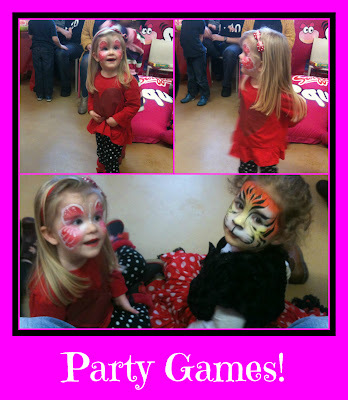 We were invited to this event and had refreshments and free-flowing fun provided! We received no other payment for this post. All opinions are 100% our own. It was a very nostalgic day! And the sweets are so yummy! Because ... Home is where the Harts are!